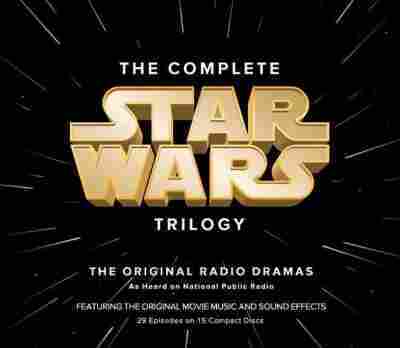 That Time NPR Turned 'Star Wars' Into A Radio Drama — And It Actually Worked In the 1980s, NPR looked to the film saga to help boost audience numbers. it bought the rights from George Lucas (for $1) and got the original Luke Skywalker. The result was an overwhelming success. NPR figured it could maybe get more listeners by reviving the radio drama, which had been out of fashion for some 30 years. So the network called Richard Toscan, then-head of the theater program at the University of Southern California. He remembers asking a colleague for advice on what story to dramatize: "There's this long pause, and he says, 'Create a scandal.' "
Toscan was at a loss. Then he mentioned the problem to a student. "And he said, 'Oh, why don't you do Star Wars?' " Toscan recalls. "There was the scandal." See, Star Wars was a commercial juggernaut. And as Toscan puts it, "Folks working at NPR thought, 'Oh good grief, we're selling out to Hollywood.' 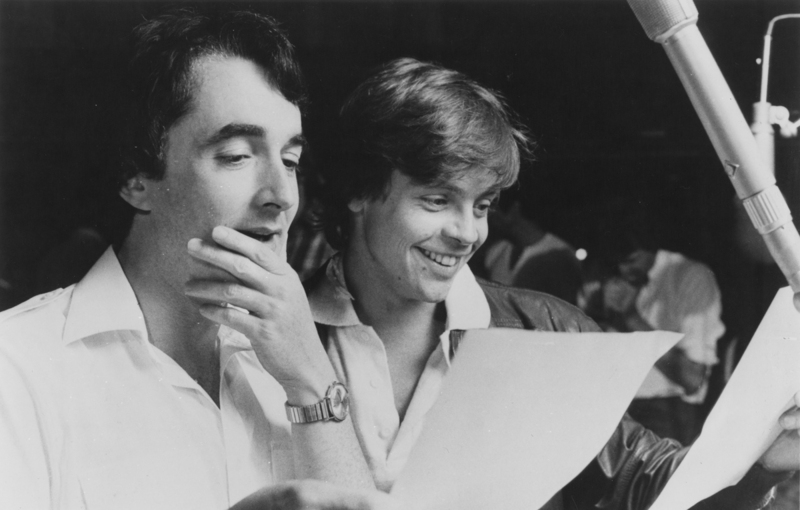 "
And so were some of the movie's stars: Anthony Daniels returned as the uptight protocol droid C-3PO, and Mark Hamill voiced Luke Skywalker. The Hollywood-public radio collaboration was so notable that there was a photographer in the studio to document it. Madden says Hamill, a radio newbie, was an absolute natural. Sachs still gets the shivers when she thinks about taping that scene. "It was really scary," she says. "I'll never forget after it was finished, [Peters] came out to the greenroom and he gave me a big hug. And I kind of clammed up as he hugged me and he said, 'Oh, you poor dear. I am so sorry.' "
Sachs says part of what makes that scene work is the mix by engineer Tom Voegeli. It didn't hurt that Voegeli had access to John Williams' music and Ben Burtt's sound effects from the film. But it could still take him an entire day to put together just a minute of audio. "Just choreographing Darth Vader's breathing so that he wasn't breathing in the wrong places," Voegeli says. "You know, now you could take those breaths and move them on a computer screen and do it pretty easily." Back then, Voegeli was mixing with reel-to-reel tape machines and editing with razor blades. Toscan, the drama's executive producer, says, "It was analog with a vengeance." He says when the drama debuted in 1981, "We were all walking way out on a plank, I think, keeping our fingers crossed." But it was an overwhelming success. The sleepy little network received 50,000 letters and phone calls in a single week, and there was a 40 percent jump in audience.